Fritschi Swiss Bindings has quickly implemented the feedback from the market and developed technical solutions to further improve the safety pin system. To step in, the boot is placed in the step-in position by means of guiding aids, where the pins can be properly engaged in the inserts via a locking mechanism (W.S., this is probably alluding to the new step-in trigger design, see our comment below). In uphill mode the boot is secured in the center and held stable, but the system is not blocked and will release laterally in response to strong forces. The only pin binding with a stable heel. In downhill skiing, the higher forces are transmitted in the back. The lightweight ski stopper will automatically lock (W.S., in a retracted position) when the uphill mode is selected. It is a vital part of the equipment designed for easy use and safety. (W.S. notes: In our view the four salient points here in comparing Black Vipec to the white version. 1.) Entry trigger instead of wire, combined with boot guides. 2. )Stronger lock mode when touring. 3.) Better lateral elasticity in downhill mode. 4. )TUV certification. See our previous “Binding Wars” post, as well as our other Fritschi Vipec articles and news. So I’ve had my adblocker turned off on your site for the last few months because, you know, of course I support you folks making a living from writing and I enjoy the blog and read just about everything you post. But I’m sorry, auto-playing video ads are simply beyond the pale, and I think I probably speak for a lot of people in this. We’re coming to the site to read, and video makes this incredibly difficult. I know it’s not directly your decision, but if enough kicking and screaming happens things’ll likely change. This is what the “acceptable ads” program is for. Hi A.C., yeah, I was uncomfortable with that Arcteryx ad, very reluctant. I’ll ask them about it. Thanks for supporting my take. I trust you notice that we usually have NO auto playing video ads, no fly-outs, no take-overs. Pretty mellow compared to most of the other monetized sites I browse every day. For example, check out Atlantic magazine without your blocker running. Makes us look like a warm bath (grin). If you could try again in a few weeks, I’d appreciate it. We spend a lot of money and time on the site, we need the advertising to keep it going. I’d simply have to stop if we didn’t have it, or if we get too much ad blocking. Honestly. No mention of the modifications to the heel to stop ice from preventing locking into downhill mode? To me that seemed like the biggest deal breaker for this binding. I will be curious to hear if they have resolved this problem. If you want to help Lou keep the ads mostly static and still support the site, click and BUY from the static links, and drive more traffic to this site by visiting from multiple devices and posting links to it in your social media, especially FB. The rich media ads (videos, etc.) everyone claims to hate can work really well (as measured by clicks per $ spent, etc. ), so if people here don’t click on them, advertisers will optimize away from them on this site. Driving more (active) traffic gives Lou more leverage to call the shots with advertisers. Still certifiably not available in North America? Andy, exactly. 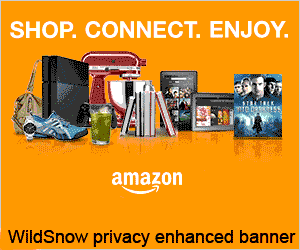 Have to admit I’d encourage anyone browsing the web to never click an animated or noisy ad, and that includes WildSnow. I sell views, not clicks, but the advertisers still obsess on clicks. Facebook is a huge help. For those that have ordered from overseas before (ie Sport Conrad or Telemark Pyrenees), are there any downsides? Will Black Diamond North America honor warranty claims? Thank you Lou for suming up in four points, what may remain unseen under the marketing parlance. Perhaps would the use of an AdBLocker there of any use for mere mortals. So now we have three versions of the Vipec binding on the market here in Europe at the moment. The first, second and now third black Vipec 12. Already seen the object in a shop today. What happens with the warranty of Vipecs one and two ? Last year you could order the fix for the model one making of it the model two. This year can you order any upgrade from modell one to three or from model two to three ? The release of this bindings looks to me as live research and development with strong customer commitment, rather than a finished product coming to offer anything else as promises for tomorrow. It was time for this produt to grow up ! It’s tough to decide between the Black Vipec (which hopefully is now a mature product) vs. taking the risk of being a product tester for the new Dynafit Radical ST/FT 2.0…. the Radical ST 2.0s do appear to be obtainable for ~$100 less than the black Vipecs right now. I’m having trouble making the choice, I suppose these are good choices to have though. Hopefully this means we will see some deep discounts on the white Vipec – I was looking forward to mounting those on some +100mm skis. Interesting, Lou, you mention The Atlantic site. That site drove me to using an adblocker. It is physiologically impossible to read without one. WS is, of course, whitelisted. Because WS is a valuable site, I make a point to click through from WS when I want to check out or buy something from its advertisers. FB, though doubtless valuable, is a step too far for me (I don’t trust FB at all). Thanks for being here. Jim, thanks from the bottom of my heart! The situation is analogous to a free radio station with advertising. The “polite” radio station doesn’t try to play an advertisement on top of their music! Likewise, here at WildSnow we attempt to design our advertising display so it doesn’t pop up in your face or otherwise obscure the content. More, I made it a loose policy to not have any animated banners, made an exception to Arcteryx in a moment of weakness as I thought their promoted video was quite nice and worthy, and the banner does conform to the standard halting of animation after a short run. But I’ve contacted their media buyer, I’ll either install a non-animated banner for them or cancel their contract. Zilch, zero, nada, no more animated banners whatsoever. I might place a few in-content banners here and there, but those will be mellow and not too frequent, promise. Perhaps it’s because I was trained as a weight-weenie the wrong season, but providing binding weights without brakes strikes me as the equivalent of posting bike weights without pedals. Seeing as these bindings are being touted for their non-rotating, downhill release mechanism that goes to 12, really makes the whole exercise seem even sillier. Yes there are those who may use them brakeless, but there has to be at least an equal number who wish to see their skis again, should they release while descending. I understand that WS is just reposting Fritchi’s press release, but would it be possible to update this page with a ballpark estimate of the binding weight with brakes? Jim and all, to the credit of Arcteryx they immediately changed their banner to a static one. We will allow NO more auto-animated banners. The video linked from the Arcteryx banner is quite nice, I’d suggest clicking on their banner and enjoying the video. Lou, getting the ad changed is fantastic, and maybe a first for web advertising. Thanks to you and Arcteryx. Matt, I agree in spirit. Problem they have is in choosing which width brakes to weigh the bindings with, further, in Europe it’s pretty common to strip off the brakes and ski without straps or brakes, we see that quite a bit here in North America as well. In any case, 110 mm brake on my White version, 72 grams. it’s gonna be within a gram or two on the Black, 99% sure… In the press release Fritschi states brake weight of 70 grams. So, add that to the stated binding weight of 490 grams, total = 560 grams per binding. What’s misleading is that Fritschi has some advertising that’s stating binding weight of 490 grams, indeed they should be touting weight _with_ brake, as this is intended as a full-on ski binding. I’ll edit the post above to communicate that better. Thanks for asking about.. Thanks Lou! Clearly any time you have different sizes (brakes, boots, skis…) publishing weights gets a bit trickier. There are some crazy German bike mags that mathematically “norm” all frame weights to the industry average size (56cm for road frames, I believe) before publishing them. It’s a labor-intensive approach, but it’s great for true apples-to-apples comparisons. In the case of brakes, most of the folks I tour with are on skis in the 1-0-something range, so a 110mm brake seems like a very sensible “norm” for listings like this. Lou, can you get a guest blog out of the dude in the Arc’teryx video about his camper? Back to the new black Vipec, the original topic. I wonder why a solid trigger is better than the wire trigger. With the wire trigger, there is no problem with snow or ice accumulating below it. I had to razor off the little hooky dinguses at the toes of my Sportiva Sideral boot soles, which were interfering with trigger operation. An acquaintance, who also must have been reduced to tears getting into his Vipec toepieces, threw them into the local landfill and replaced them with Ion toepieces. Now he has no lateral release at all, but he is tear-free. I do not endorse his solution. Bon voyage for next month Lou. If he wants to educate us on clothing, I’ll give that a read too. Jim, I haven’t tried the black Vipec in the field, but placing a boot in a store model shows the size (smaller) and position (lower) of the new trigger should be better than the old. Nevertheless if the new binding is as easy to get as it is expected to, that would be a good improvement. Now if only Fritschi would release 100mm wide ski crampons, to fill in the gap between the 85 and 115! ph, if the problem with the wire trigger is that it is too high, why not bend it down? Looks like an eighth inch (3 or 4mm) lower would not hurt. I suspect the variability in complaints about getting into the Vipec toepieces has a lot to do with the various kinds of boot soles. Maybe a solid trigger is less sensitive to different tread designs. If so, my aftermarket fix would be to fill in the wire trigger generously with hot glue, then, when cool, slice it smooth with a razor. I know somewhere here I have seen a fix to the white fritschi vipec step in problem but cannot find it. I am one who has almost been driven to tears after not being able to put a ski on especially in a very steep chute or terrain you don’t want to spend any additional time where it is impossible to get a flat surface. note – I can put my dynafits on in one try in same terrain. Its not the pins that seem to be the problem but the step in wire or pressure you need to close the “wings”. Steve, it has to do with the shape of the boot sole under the toe, user technique, and any snow or ice buildup. Motivated users who own the binding and practice with it usually figure it out. Any mod I know of involves tuning how the boot sole interacts with the wire trigger. Overall it’s one of the only real downsides to Vipec, which I agree has some excellent characteristics. Each person needs to see if they have the tools/skills/interest to try to modify their binding pieces! For comparison I used my La Sportiva Spectre boot with some rental skis with some recent but not brand new Dynafits, the difference was night and day for getting in the first try – nearly couldn’t mess up getting in. On last years Vipec it takes some practice or other technique as I previously mentioned. But I can understand that people are motivated to figure out the technique (or get this years binding if it is better) for other features of the Vipec. In comparing the two bindings when the bottom of the boot sole is touching the trigger and guides, it seemed pretty clear that last years Vipec had the boot a few mm higher than the Dynafit, with pin cups thus a bit higher than pins, right before clamping down. My suggestion (above) to bend the Vipec wire trigger down a bit is easier said than done. That is some very robust wire! Shoulda known. You might be able to bend the trigger after a complete disassembly of the toepiece. Never mind. Wondering why I don’t have trouble getting into the toepieces, I looked closely at the boot sole and wire trigger interaction. It seems that the Sportiva Sideral sole has a groove exactly mating with the trigger when positioning the boot toe for entry. That is thing one. Thing two is using the heel pins to index the boot. I made two Sharpie marks on the top edge of the boot heel for aligning with the heel pins. That makes it easy to step onto the heel pins. Then the toe clicks into the toepiece smoothly, every time. If the Vipec redesign makes entry tricks needless, so much the better. Just saw a video about the new Black Vipec that says the LaSportiva Spectra boot is incompatible with the binding. Was this the case with these boots and the white Vipec? It looks like the sole rocker on this boot is to close the the toe spring housing. I bent that trigger on the Vipec down 2mm and it really helps. It was easy to do. I put a 6mm steel dowel under the wire. This acted essentially as an “anvil”. I then tapped the end of the wire down with a hammer & drift. If this new 2016 release has no issues, it looks like it will make the vipec the safest and highest performing tech binding on the market right? Or at least the best tech toe on the market! I am curious as to how the Vipec’s heel stacks up to the heel of the Marker kingpin, which has gotten a lot more publicity for its “improved connection and power transfer”…. Doesn’t the Vipec heel do this as well? It seems that it should offer a much more dynamic and improved connection than the typical tech heel, just like the Kingpin boasts, so can anyone comment on how its performance compares to the Kingpin? Bob: I measure about 1mm space between first year Spectre boots and this years white vipec. I’ve heard rumors that this year Spectre boot have less rocker so may fit better, but haven’t seen that combo myself. Swiss Hoser: thanks to share on technique, I think it is something to consider after checking your particular boot interaction with vipec. Brett: Vipec heel is different than typical tech heel (Vipec no side heel release) but neither like the Kingpin, since Vipec is still held in place with pins, while Kingpin is more clamped down like an alpine binding. A few possible basic issues mixing: 1) mismatched height, kingpin heel may be significantly lower than vipec heel 2) many alpine style heels are designed to apply forward pressure to the boot sole. I don’t know if Kingpin does this, but if so, Vipec front is probably not designed for those loads. 3) Then you just have risks if both heel and front are working with dynamics other than designed for at the other end. But it also crossed my mind it could be best of both worlds, but probably better to be designed that way! Brett, Vipec is indeed excellent but by no means the total everything else killer. The heel still uses the classic pins and boot insert, and is limited in vertical elasticity in comparison to the Kingpin. Someone else mentioned using Kingpin Heel with Vipec Toe. While that is a valid thought experiment and might indicate the type of tech bindings we’ll eventually be seeing, it’s not a recommended combo due to unknowns about release calibration and pre-release issues, though real life experimentation has probably already commenced (grin). Be all that as it may, for the lightest and simplest solution, the classic tech binding such as evidenced by G3 ION is not going away any time soon. It’s just such an elegant design, it’s amazing. Thanks for the info guys, that makes sense and is exactly what I figured. Ughh I’m in the market for a tech setup this season, and am hopelessly torn between the two bindings. @Lou one more question for you…could you speak a little more about your comment “The [Vipec] heel still uses the classic pins and boot insert, and is limited in vertical elasticity in comparison to the Kingpin”. I think that this statement might have been google-translated, but it seems to me that they are trying to say that the Vipec heel has some form of downward pressure on the boot, rather than just holding it in like a traditional heel. Is this incorrect? About Vipec forward pressure: That only happens for a moment when the ski is reverse-cambered. The heel-piece is on a spring-loaded carriage, so the forward pressure is limited. Normally in ski mode, the little square boss of the heel-piece is just kissing the steel boot heel insert. No forward pressure almost all the time. The quoted Fritschi propaganda disses rotation of the heel pins, but that’s where most tech bindings get their lateral release. The Vipec toe slides laterally before it releases. Much the same effect, I think. It also seems to me that most of the edge control of the ski is done through Vipec toe-piece. The way I ski, that’s more than enough. As a recovering telemarker, I’m still astonished at the improvement in control with AT gear. I started using telemark gear because, at the time, it was much lighter (and the telemark turn is cool). That is no longer so. Alpine technique has always been much stronger, but that made little difference to the young and heedless me. Now, I take all the help I can get. +1 Jim. I can think of no situation where the tele turn has a functional advantage over AT (can you?) – but, it is pretty. I have skied all styles for most of my life. Done correctly, the telemark 3 pin set up is ideal for very long tours with rolling terrain. Coupled with narrow double cambered skis, you will have great speed when doing classic kick and glide and/or double poling. Of course this assumes that you are able to master the subtle art of cross country kick zone waxing also. And with a super light 3 pin set up, gaining vert is much easier also. The down of course needs a bit more concentration. So true, Lou! I challenge anyone to make a prettier, more elegant snowplow turn than mine! I agree with Kristian. Telemark is good for skiing moderate terrain with a light 3 pin setup, or even not so moderate terrain if you’re willing to “concentrate.” I’m surprised at how the link between “backcountry” and cross-country seems to have been lost for this generation of skiers who like their snow wild. Long tour or short; wax or fish scale… I’d rather stride through the woods than uphill at the resort. This season I removed the 3 pins from my Madshus fishscale bc skis and replaced them with an old pair of dynafit bindings, and the very light PDG boots. Makes for a lot of fun on moderate terrain, taking nature photos, and seeing just how far you can push fishscales before the skins come out. Of course, leather boots with tech fittings would be much more appropriate! A tech setup can be great for skating. To See, Lou and others. I live in Switzerland, near the Jura, a small mountain range, on the border with France, that has a great deal of low, rolling, gentle terrain. Basically, it’s a cross country ski touring paradise. I am thinking about doing a three to five day tour through the Jura. I don’t know if I will carry a pack, or pull a sled. Despite all my boring talk about frame bindings on this site, I actually do own a set of light, pin bindings (diamir toe, kreuzespite heel). I thought I would use those pin bindings, with old, comfortable stripped-down touring boots, and some old narrow touring skis. Do you think it would be better to use some kind of 3 pin set up? Or a BC cross country binding and boot? Would that be strong enough? I’m thinking of covering 10-20 km a day with about 300 meters of up and down. And of course, at the end, I’ll have to pop into a distillery, and try to famous local drink…abisinthe. The Green Fairy has the answers to your questions, Bruno. Settle down with a bottle of that fine local absinthe (and associated things). She will whisper in your ear. I’m sure you know better than I do, Bruno. But, for what it’s worth… back in the day, I thought nothing of carrying a full pack with leather boots and skinny skis. I don’t think it did my knees any good. I like releaseable bindings (alpine, AT or tele) for anything beyond light xc touring. You can use a loop of cord that is tied to both sides of the front of the sled to flip under the sled when going downhill. The loop of cord will cause drag and keep the sled from slamming into your ankles. There are many other ways to do that also! Jim Milstein, you spoke for me exactly: “As a recovering telemarker, I’m still astonished at the improvement in control with AT gear. I just bought my first AT boots yesterday (Cosmos II). Since I am now almost 50 and mostly an (occasional) weekend warrior backcountry ski patroller, I’m with you. I can take all the help I can get! So does the Black deal with the heal icing issue??? Didn’t see that addressed in te post or comments? Skiing on the white Vipecs for about ninety days now. I’ve yet to experience the heel icing problem. If it’s a problem, it’s a rare problem. Looking at the design of the heel piece it seems you’d need to immerse the binding in water to get it to ice up. There may be other modes but not modes obvious to me. As I’ve mentioned before, removing the brake (two screws) makes the binding much more fun to use. Heel indexing makes getting into the binding easy and foolproof. The Vipec is not a heavy binding, but since I like my gear to weigh little going uphill, I’d like it to be lighter and yet to retain all its present virtues. Jim it’s a real problem. Not an every day occurance but not rare either. I think it would be a simple inline fix that Fritschi could have implemented. Was looking to see if they did or did not address this in the latest version. Any info on the upgrade – if anything happened at the heal or not would be appreciated. I love them. I have had no issues. I took a friends Vipec “white” and my new “Black” and went to put one on each foot. It took four try to get the “white” on and only one try with the “Black” and this was done on top of Teton pass in the parking lot where snow and grade were not an issue. I have had one toe release due to snagging an early season try and I was glad it did or I might have a broken leg. I love the ease of entering the binding and altering it from ski to tour and back. Its hands free, no bending over on the skin track. My pole can make all the adjustments with ease. Great binding so far, yet there is a lot of Teton vertical to come on them this season. Following Swiss Hoser’s advice of 11/05/2015. I tapped the trigger wire of the white Vipec down about ?”, making the trigger almost parallel with the boot sole. On the bench it seems an improvement. Unlikely to make entry worse. Field trial is scheduled for the next snow in the Wolf Creek Pass region (soon). I have remarked before that using the heel indexing trick has made the Vipec entry problem go away for me. I will see whether heel indexing can go away as well with this minor mod to the wire trigger, not that heel indexing is inconvenient. We don’t want skiers to cry more than they have to. Finally had the Vipec release, when a ski dug deep. The Vipecs have been set at five fore and aft for about ninety days of skiing. The ski was totally buried but easy to retrieve with the B&D coiled ski leash leading from my boot to it almost six feet away. I don’t miss the brakes at all. This years white Vipec has a new internals in the heel which I believe is identical to this years black Vipec heel. It is different than the original white vipec in that there are some plastic pieces taking up some empty volume where snow could get compressed and hinder blocking the heel near the bottom/back part of the mechanism. I did experience some occasional blocking in the original model, but never had time to disassemble and see where it happened. I suspect the new model will be much better, but haven’t used them enough this season yet to confirm. Ph, thanks for mentioning that, unfortunately I used the 2014-2015 Vipec White as comparison in blog post coming tomorrow. Oh well, hard to achieve perfection in blogging (grin), especially when a product has had, what 3 or 4 models all with the same name!? Product is called “X” and looks like “X” but functions differently. Consumer doesn’t know which they’re getting. Fraud? I have the following issue with a Vipec 12. When is open, the pin piece is fixed on the center of the ski, when is on ski or walk is moving free on left and right. Did anyone know what’s the problem? Just a heads up, I just purchased the black version from Sport Conrad for $372 USD. I’m not sure about customs fees and what not, but if I actually receive these for that price, it’s easily the best deal out there. skifreke, any news on the bindings? thats a great deal! I got the bindings 2 days after purchasing them from Germany’s Sport Conrad. Probably the fastest international shipping I’ve ever experienced. Total was $370 plus a tarif fee from UPS for $18. Still a $200 savings from buying them older version stateside. I’ve got 2 days on the bindings and my previous tech bindings were Plume Guides. The Vipec 12 Black is far and above the best binding out there. Super easy to use, stepped in easily first time using them, touring mode transitions are a breeze. I’m getting another set for the wife. They are awesome! woohoo~ thanks for the info! that is awesome, and what a deal. i’ve been thinking of getting dynafits for a while, but i’m super attracted to the safety features of the vipec. one question… any idea if the 100mm brake will work with a 97 waist ski? Re: new Vipec. Lou, I am also wondering if the new black model solved the occasional heel freeze up problem. It is a bit disappointing the release did not address that the problem has been solved. I have about 40+ days on the 2nd generation Vipec. I am super happy with the bindings, no step in problems, no toe lateral releases no matter how hard I sidehill. I do think the Vipec is the future. But not yet. Is has its Achilles heel. The freezing heel happened to me several times. Breaking trail, temperatures around and above freezing level, even leaving the binding facing the sun in mellow freezing temps contributes to the problem. Using #3 posi to take off, clean and mount the heel in freezing rain is not my favourite pastime. I contacted Fritschi, who put me in touch with Black Diamond. They suggestion was to take the heel off and spray the mounting plate and the inside of the heel with copious amounts of silicon spray before every ski day. I have been doing that and the problem improved but is also mid-winter so it remains to be seen how effective this in the spring. In December 2015 BD also promised to send me new and improved mounting plates that according to them will address the problem. However I am still waiting for the plates to arrive and BD customer support stopped responding to my inquiries. Has anybody got the new plates? Anybody got a closer look at the black Vipec? Is the inside of the heel different? Is the mounting plate different? (Suggesting the ice-up problem has been addresses). I considered returning the Vipec and exchanging it for other pin-tech binding but I also like it a lot so for now I am prepared to never ever leave without #3 posi and the mental state of a pioneer, ready to deal with anything! Lou, are you saying the black is better at not freezing up? Thanks! last year i pounded the white vipec for 55 ski hill days (mostly hard bump skiing with up to 30 feet of horizontal/ max10 feet of vertical air) and 25 back country days. Still works great. Just bought the black vipec and couldn’t make it work with my maestrales but noticed tonight that there is a groove right in the front of the maestrale boot sole where the trigger should be activating. I just filled it with urethane (freesole) and hopefully that should solve the problem. I did have one problem with the whites that i don’t see addressed anywhere – the heel piece would slide gradually back while in use (the screw was undoing) and eventually if not noticed (could be as little as 3-4 runs) would release accidentally. very dangerous. Has anybody else identified this problem? Bought the new Black Edition from Telemark Pyrenees and mounted it on DPS Wailer 112 RP2 in Dec 2015. Skied a total of 12 days at Tahoe’s Kirkwood and Heavenly, Chamonix (Vallee Blanche, Courmayeur, Grands Montes), Zermatt, and Verbier. My goal was really intended for slack-country (90% alpine, 10% touring) and lightweight. I was well aware of flaws from Gen 1 and 2; and glad that I waited for this Gen 3 release. So far, Vipec 12 has met 99% of this goal with only 2 incidents, where the heel lock was somehow disengaged from the skid mode, causing me to telemark down for a few turns. I would recommend that Vipec look into a way to make the heel piece lock for the ski mode more secure than the current design. During skiing, my guess is perhaps pole swing accidently hit the heel lock and causing the heel piece to move away from the boot. Nevertheless, toe pins held the ski well. As long as binding is holding the boots, skiing performance wise is very similar to traditional binding. I was able to ski pretty much all terrain, including the moguls on Little Dipper in Nevada side of Heavenly. I was impressed with the performance. I also had a few incidents where the binding releases under expected condition, saved my already aged knees. One is when left ski got caught in between unseem snow/ice/rocks and my forward momentum just carried me with enough force to leave the ski (not my leg) alone. The release was impressive. The other time is one of unwanted telemark debacle, then toe piece just release with enough rotational force. Both events I considered proper release and no strain felt on the knee. #3 Priority: Walk to Ski to Walk just simple and easy. Originally I was recommended to get Dynafit Beast 14 since most of my usage would be limited to alpine skiing instead of touring. However, at the last min I decide to give Vipec 12 a try due to its superior design, lighter weight, and no complication of installing Beast-only heel piece. I made a calculated assumption that since I am only 150 lbs and 5’7, I bet Vipec 12 would have plenty of DIN to hold me up for carving, moguls, cruds, etc. It turns out my bet was right. 1) The right pin’s hex bolt, which hold the pin, would get loose. Glad I caught that after couple days of skiing. This happened on both bindings. So, I would regularly check for tightness before head out the door. 2) Heel piece lock for ski mode need more secure way to prevent unintended throw-back to walk mode. Although only happend twice, but psychologically, it turned me to much more conservative way of skiing. So, I ended up thinking a bit too much during skiing and too cautious.